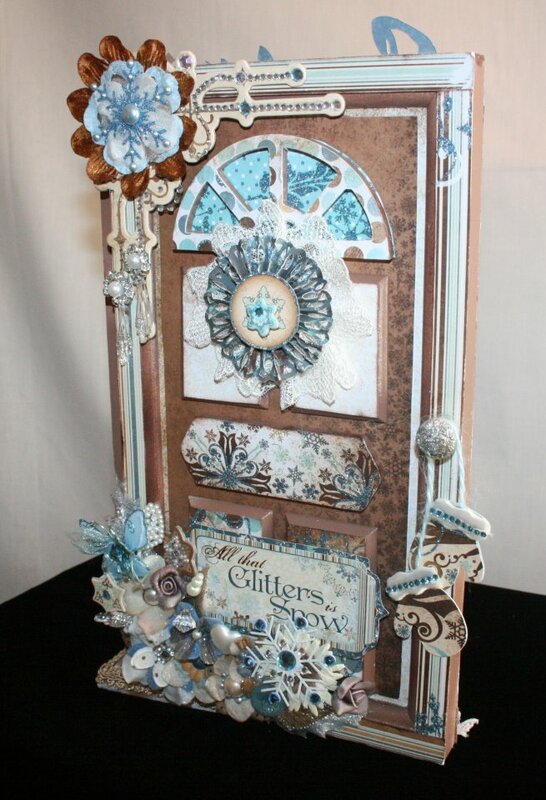 Here at Bo Bunny, we love seeing what you are making with the collections. Many of you share your wonderful pages, cards and projects around the internet. It is always so inspiring to see what you are doing and to share in your memories! We want to say thank you and show off some of the wonderful work we have seen while browsing the internet. These were all shared on the Bo Bunny Facebook page. This is just a small sampling of the amazing work you do! Today, the Spotlight is on YOU, our wonderful readers and fans! YOU rock the Bo Bunny!! Let's start with this wonderful layout by Ana Paula Leal! This beauty was done with the Et Cetera collection. Take a close look at all the beautiful layering and use of chipboard on this project! Terrific Page! Next Up, we have this stunner of a card that was shared on our Facebook Page by Brises Colors. This is another wonderful example with the Et Cetera collection. The details and fussy cutting are just wonderful on this card!! Wouldn't everyone love to have this frame sitting out at their house this winter? It is just so beautiful! Take a look at all the details on this one! The texture frame is the perfect setting for it, too! Nothing I have purchase from a thrift store ever looked like this!! Take a look at this from Jamie Allen. 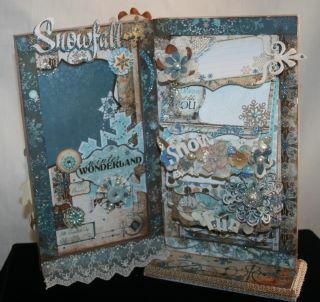 What a beautiful example of how to alter using the Snowfall Collection!! Take a look at all the dimension on this project. Wow!!! It keeps getting better, too! Jamie has turned it into a Mini Album. How cool is this? Next is layout that was made by Rosangela Philippsen. This is the Sweet Tooth Collection. What a fantastic job of misting and check out that border! What a fantastic design, too! Take a look at this beautiful Mini Album!! 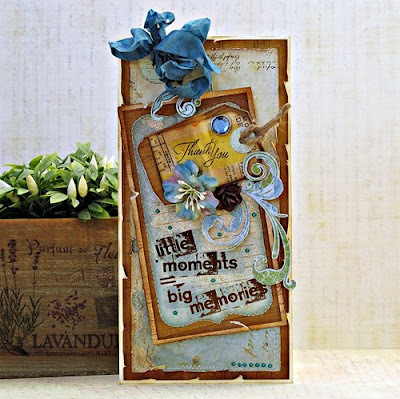 This is such a wonderful mini done with Et Cetera. Scroll down a bit to look at the first couple of pages! I love the way Peggy used the noteworthy! This one was shared by Delaina Burns. 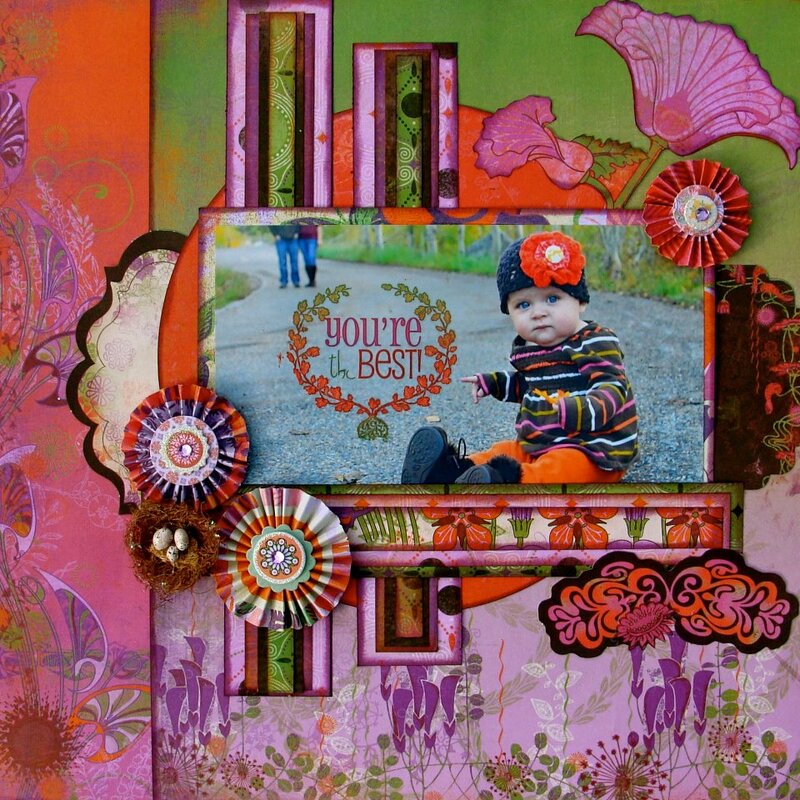 Delaina used the Welcome Home Collection. Using the negative space really makes these colors jump off the page! Take a closer look at how Delaina did her pictures, too! Here is a layout by Rachael Elliot. 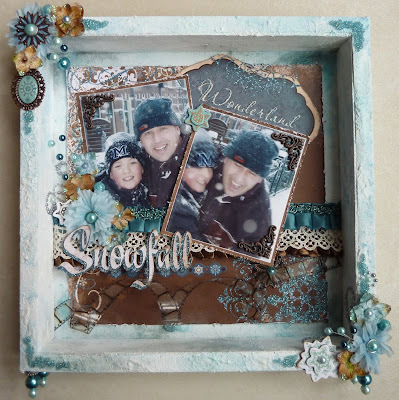 Rachael used the Gabrielle collections for this layout! She did such a beautiful job with the layering and fussy cutting! Don't you just love a great two-page layout? This one was shared by Mary Bezdicek. Mary did such a wonderful job of incorporating a lot of photos. 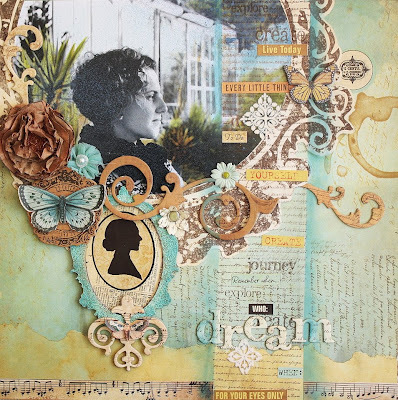 The chipboard layering looks great and still lets her photos shine. This was done with the Forever Fall Collection. 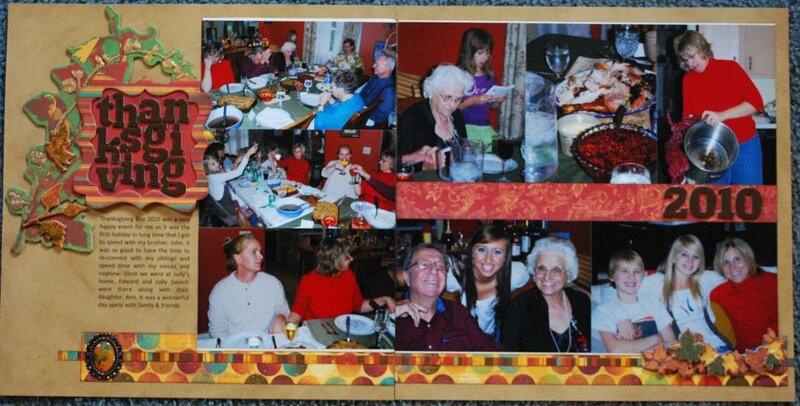 Karen Zueger shared this layout with us. The picture is so perfect for the Garden Girl Collection! Such a bright and happy design! The accordian flowers are a perfect addition! And the last project for today was shared by Sandy Ang. How cute are these!! Sandy did a fabulous job of showing off the Ad Lib Collection! This is such a colorful collection and she showed us how to use all the sentiments in the collection to make a big statement! We could go on and on!!! 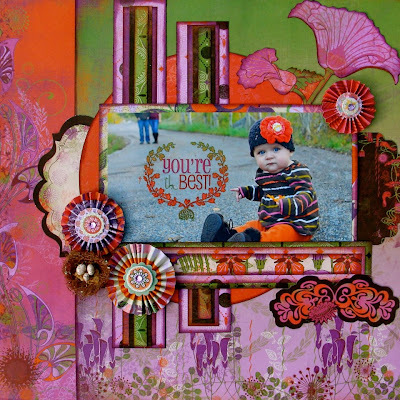 There are so many fabulous layouts and projects out there!! Keep sharing and remember that we always invite you to share your projects with us on Facebook! We also have a winner from our last challenge! 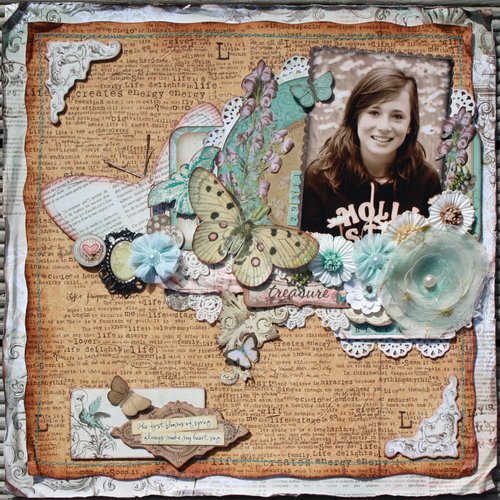 The winner is Misty W. with this terrific layout all about her featuring the Olivia Collection! Beautiful work Misty!! Please e-mail us and we'll get your prize out to you! Oh my Goodness!!!! All creations are absolutely stunning!!!!! Amazing work ladies!!!! Thank you so much for the wonderful inspiration!!!! these projects are awesome ladies!! These project are just stunning. Great work girls. Amazing projects indeed!!! Congrats to Misty!!! Oh my, so many amazing projects! You are just the best, Bo Bunny fans:) And big congrats to Misty! OMG... this is fantastic!! 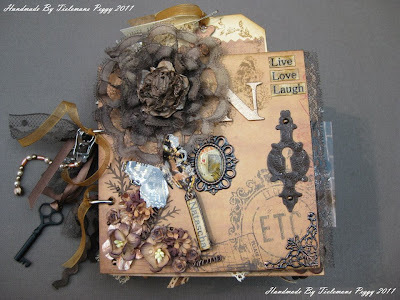 I'm sooo happy to have my layout published at Bo Bunny blog. Thank you for posting my project on your blog. I love Bo Bunny! Such fabulous creations!!! big congrats to all those fabulous artists!! Thanks so much for posting my layout.....it so very humbling to be included in such a very talented group!! Beautiful work everyone! Wonderful work ladies!! It is so fun to see all of the great projects you share on Facebook!! Wow!! Ohhh! how fun!! I LOVE LOVE LOVE seeing what BB fans out there have done with some of the newest collections like Snowfall, Et Cetera, Forever Fall and Garden Girl!...and some of the older collections like Sweet Tooth, Ad Lib and Gabrielle (I still have a soft spot for that one! ;) .....and Peggy!! your mini album just takes my breath away...love the grey with the neutrals! ....and finally! 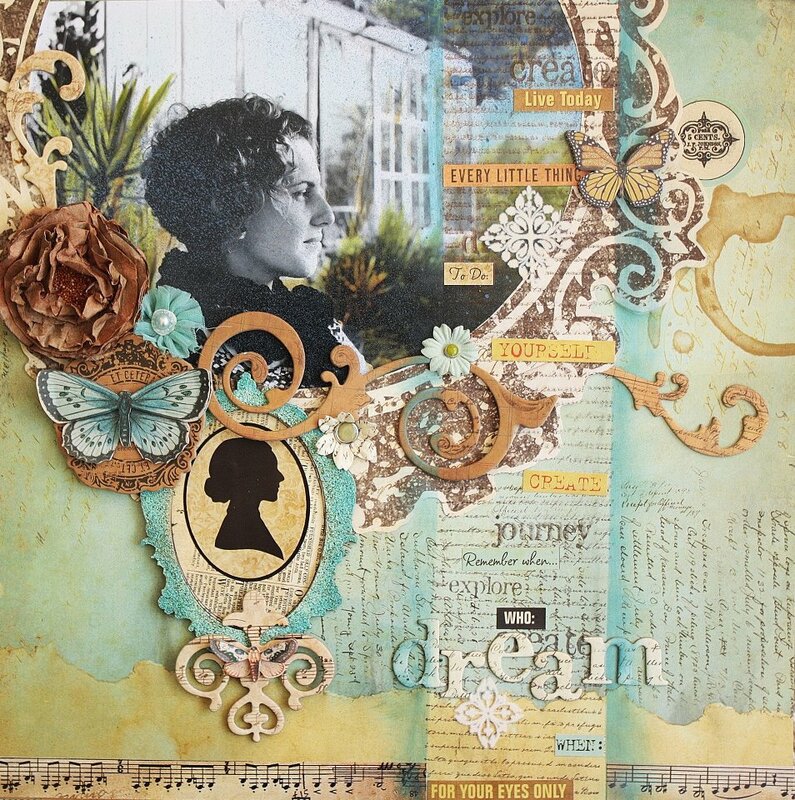 Big Congrats to Misty...your 2 pager is absolutely gorgeous! I loved to see what all our Bo Bunny Fans have been creating. 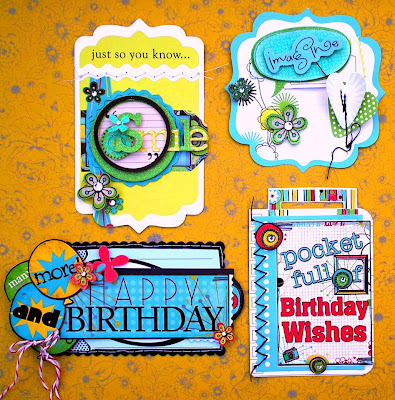 Oh I'm so thrilled to have my Ad Lib cards featured. Thank you ! I like your blog banner!